Carers IW offer a range of services and support to unpaid adult carers of adults. The Carers IW team provides information, support and advocacy to adults who look after another adult. They might be caring for a parent, partner or friend with physical or mental health needs. Alternatively it may be that the person they care for has for example has a substance misuse problem and needs to be supported on an occasional basis. 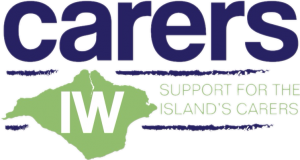 Carers IW work with carers who either live on the Isle of Wight or care for someone living on the Isle of Wight. They work with carers to ensure they receive the right support and information at the right time, enabling carers to carry on looking after their relatives, friends and neighbours. The Footprint Trust Ltd is a registered charity based on the Isle of Wight. The are dedicated to working with the Island’s community to promote the benefits of sustainable living. This is achieved through practical projects and activities that raise awareness of all the relevant issues – demonstrating the idea of “acting locally and thinking globally”. Help & Care is a registered charity working with people and communities to support them to live the life they choose. We are here to provide you with information and advice that will enable you to make decisions and find support that is right for you. Help & Care are one of 3 partners providing Healthwatch Isle of Wight. Healthwatch gives people a powerful voice locally and nationally. At a local level, Healthwatch Isle of Wight is helping Islanders get the best out of their local health and care services. Whether it’s improving them today or helping to shape them for tomorrow. Vectis Radio is a Community Internet Radio Station broadcasting from the Riverside providing local, national and international news while playing the hits of the last 60 years with local volunteer presenters of all ages and abilities. We offer affordable advertising to local businesses promoting charities and good causes free of charge. Within the station is the Vectis Radio Training School helping 11 to 19 year olds and up to 25 years with additional needs with confidence and communication skills and of course experience in media as part of our 4Ps radio course Presenting, Producing, Podcasting and Promoting. The Parish Council serves seven wards, Carisbrooke, Newport Central, Newport East, Newport North, Newport South, Newport West and Parkhurst. A variety of local information is available from the Parish Council, and you are welcome to call us for general enquiries or to view documents such as Meeting Agendas and Minutes, or Planning Applications. Office opening times, Monday and Tuesday from 10am to 12pm and Thursday from 2.30pm to 4.30pm, other times by arrangement. Southern Advocacy Services aims to deliver a high quality and effective advocacy service tailored to the expressed needs and wishes of each individual client. Southern Advocacy Services challenges discrimination and disadvantage and takes positive action to ensure full participation by all groups and sections of the community. We ensure that vulnerable people are supported and enabled people to take part in decisions about their own care, make an impact on services which they use and influence other decisions which affect their own lives. Southern Advocacy Services is an independent charity which supports a diverse range of vulnerable people, including people with mental health needs, people with learning disabilities, physical and sensory impairments, carers and older people. The service provides a combination of one-to-one specialist support, group work, support within residential care homes and also within community settings. The Stroke Association’s core service provides high quality information, emotional support and practical advice in the aftermath of a stroke. They begin working with a stroke survivor and their family immediately following a stroke, and will continue to provide the support people need, for as long as they need it – in hospitals and care homes, within their own homes and back into the community. BBC Radio Solent is the BBC’s local radio station covering South Hampshire, Dorset and the Isle of Wight. They broadcast a mix of local news, information, conversation, music and entertainment, reflecting life in the south. A small recording studio for BBC Radio Solent is maintained at the Riverside.